I have a png image file which I would like to overlay text onto, via the command line (for use in a Makefile). The text to be overlaid is dynamic, decided at the time the image is modified. I am aware that I can install ImageMagick to do this, but I would prefer to use a method that only requires standard OS X along with Xcode's developer tools. You could try using a scripting language that comes installed with OS X, such as PHP or Ruby, and write a command line script using that. php addtext.php input.png "The text"
php addtext.php image.png "Some text to add"
This example script should output an image called out-image.png with the text added, using the Impact True Type font that's installed with OS X, in the same directory as the PHP script. You may want to read up on PHP's imagettftext function to play around with the text rendering. Something similar could be done in Ruby, Python, etc. but I'm not sure of the "in-built" image manipulation / creation commands / libraries that come installed with OS X for those scripting languages. Hope this is a good starting point. I was trying to do what you requested using Applescript and Preview.app but Preview is not Applescriptable. Not the answer you're looking for? Browse other questions tagged macos command-line image-editing . How can I use RSVG with ImageMagick? Is it possible to copy text from image? 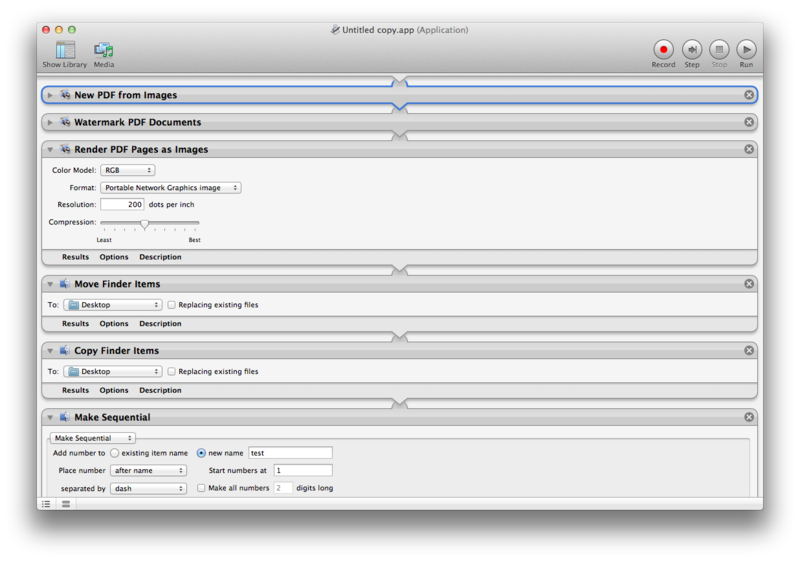 Is there an OSX app/way to batch rename files via a purely text interface?